carry the gene that allows them to pass it on to their children. People often mistake sickle cell disease as a primarily African-American disease, but in fact, sickle cell disease affects millions of people throughout the world and not only people whose ancestors come from Saharan Africa, but also from Spanish-speaking regions in the Western Hemisphere (South America, Caribbean, Central America), Saudi Arabia, India, and Mediterranean countries such as Turkey, Greece, and Italy. There are many other facts about Sickle cell that most people don’t know, test your knowledge. Did you know that it is still important to know whether or not you have sickle cell traits even if you do not have any symptoms? In addition, a person with sickle cell trait can pass the sickle cell gene on to their children. Did you know that people with the sickle cell trait are less likely to get malaria? People with sickle cell disease can get malaria just like anyone else. However, people with sickle cell trait are less likely to get malaria. The trait does not completely protect a person from infection, but it makes death from malaria less likely. Did you know that a pain “episode” or “crisis” is the most common symptom of sickle cell disease and the top reason that people with the disease go to the emergency room or hospital? 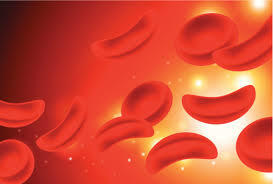 When sickle cells travel through small blood vessels, they can get stuck and clog the blood flow. This causes pain that can start suddenly, be mild to severe, and last for any length of time. Did you know that a woman with sickle cell disease can have a healthy pregnancy? Women with sickle cell disease can have a healthy pregnancy, but need to be extra careful to avoid problems during pregnancy that can affect their own health and the health of the unborn baby. The disease may become more severe and pain episodes may occur more frequently. There is a higher risk of preterm labor and of having a low-birthweight baby. However, with early prenatal care and careful monitoring throughout pregnancy, women with sickle cell disease can have a healthy pregnancy. During pregnancy, there is a test to find out if the unborn baby will have sickle cell disease, sickle cell trait, or neither one. The test is usually conducted after the second month of pregnancy. Women with sickle cell disease might want to see a genetic counselor to find information about the disease and the chances that sickle cell disease will be passed to the baby. Did you know that there are different types of sickle cell disease? People who inherit two sickle cell genes, one from each parent, have a type of sickle cell disease called SS. This is commonly called “sickle cell anemia” and is usually the most severe form of the disease. People who inherit a sickle cell gene from one parent and a gene for another type of abnormal hemoglobin (hemoglobin is a protein that allows red blood cells to carry oxygen to all parts of the body) from the other parent, have a different type of sickle cell disease. Some types of sickle cell disease are very severe and some are milder. The disease affects each person differently. Did you know that there are a lot of things that a person with sickle cell disease can do to avoid some of the complications? • Get regular checkups. Regular health checkups with a primary care doctor can help prevent some serious problems. • Learn healthy habits. People with sickle cell disease should drink eight to 10 glasses of water every day and eat healthy food. They also should try not to get too hot, too cold, or too tired. • Look for clinical studies. New clinical research studies are happening all the time to find better treatments and, hopefully, a cure for sickle cell disease. People who participate in these studies might have access to new medicines and treatment options. • Get support. Find a patient support group or community-based organization in your area that can provide information, assistance, and support. To learn more about sickle cell disease or sickle cell trait, get tips for healthy living and other resources for sickle cell disease call 1-800-CDC-INFO or go to the CDC website.